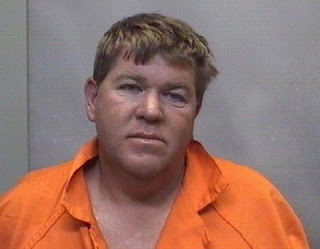 PGA golfer John Daly passed out after a binge of heavy drinking at a Winston-Salem, NC Hooters on Sunday. The extremely intoxicated and uncooperative athlete was taken into police custody for a 24 hour detox lockup at Forsyth County Enforcement Detention Center. Restaurant personnel called paramedics when they determined that Daly might need help. They tried to rouse him but he refused to be transported to a medical facility so police were summoned to take over. They hauled the unruly Daly to jail where he was photographed, fingerprinted and held for a 24 hour sober up. Daly, a popular pro tour favorite, has undergone alcohol rehabilitation treatment three times. He has also shared details of an addiction to gambling in the last chapter of his autobiography. Daly has won two major championships: the 1991 PGA Championship and the 1995 British Open. His last tour victory was the 2004 Buick Invitational. I mean HOW FUCKED UP MUST he of been to have to be locked up just to sober up!! They waited numerous hours JUST to take his mug shot. I think I am impressed and intimidated by Mr Daly and his binge drinking ability! I can not wait till he is inducted into the BOOZE HALL OF FAME. I would pour out a little liquor for him but HE WOULDN'T WANT/ALLOW THAT.